The Amsterdam Coordination Group (ACG) is an ongoing working colloquium of the theme Coordination Languages (FM) at theCWI, where members of FM and invited guests give presentations on their recent research. The meetings are held roughly every other week on Tuesdays. 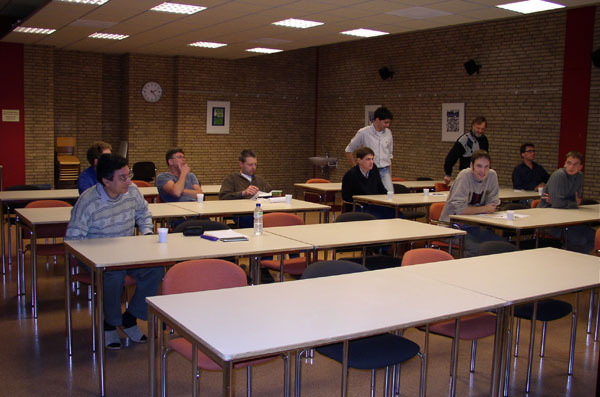 Forerunners of ACG were the Working Group on Semantics, founded in 1979 by the CWI's former staff members Arie de Bruin (now at EUR) and Willem Paul de Roever (now at Christian Albrechts University Kiel), and ACG in its earlier incarnation as the Amsterdam Concurrency Group. This ACG, directed since 1981 by Jaco de Bakker, was for about a decade one of the constituents of two national concurrency projects (LPC and REX), organized jointly with Leiden University and Eindhoven Technological University. It resulted in about ten Ph.D. theses, and (co)produced Springer LNCS Vols 224, 354, 430, 489, 600, 666 and 803. In 1992 the book Ten Years of Concurrency Semantics - selected papers of the Amsterdam Concurrency Group eds. Jaco de Bakker and Jan Rutten, was published by World Scientific. Since 1997, ACG has shifted its attention to Coordination and Coalgebra; it now operates under the title Amsterdam Coordination Group. The technical program of ACG is now composed by prof. dr. Frank de Boer. The administrative organization is done by Kasper Dokter.